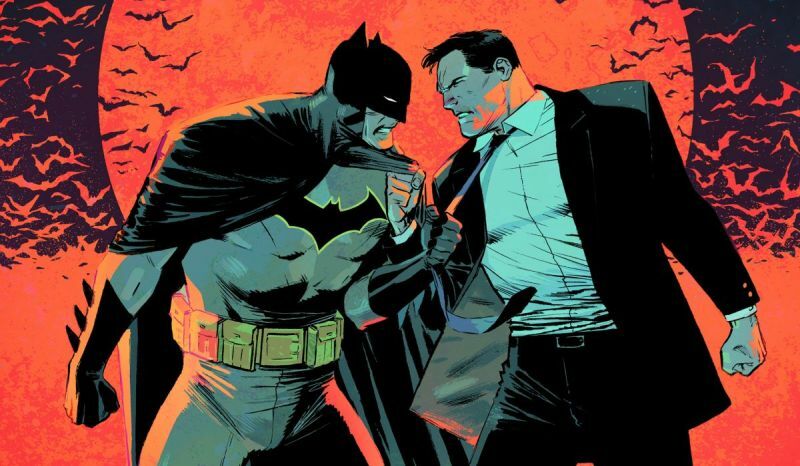 The full DC Comics August 2018 solicitations have been released, and in the gallery viewer below, you can now check out all the artwork, synopses and product images for more than 100 different upcoming releases. The new month brings some new starts for the DCU with some brand new #1s, including the return of the Super Sons! 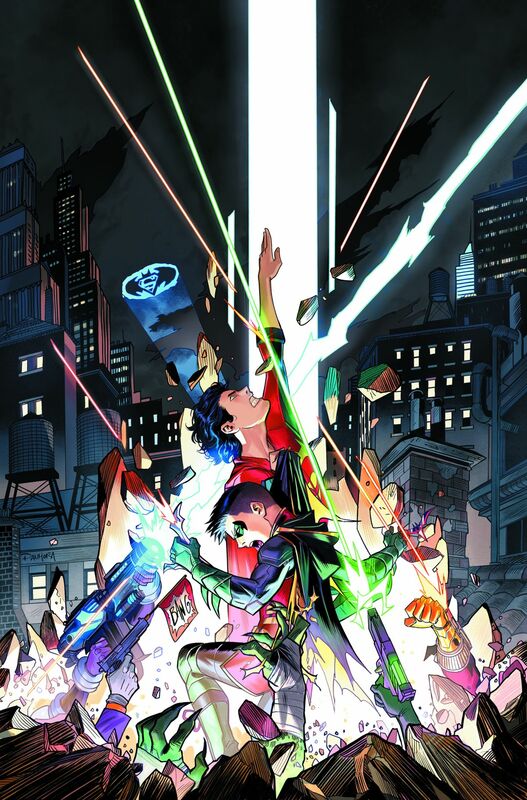 Adventures of the Super Sons will debut its first issue on August 1 from writer Peter J. Tomasi and artists Carlo Barberi and Art Thibert. The series details the lost and secret adventures of Damian Wayne (Robin) and Jon Kent (Superboy) in this flashback miniseries that takes a deep dive into the bombastic bromance between the sons of the DC Universe’s greatest heroes. In addition, DC is publishing The Sandman Universe #1, kickstarting their spin-off from the world created by Neil Gaiman. In the series, a rift between worlds has opened, revealing a space beyond the Dreaming. Meanwhile, a book from Lucien’s library is discovered by a group of children in the waking world where it should not exist. Lucien calls for Matthew the Raven to seek out their master, Daniel, Lord of Dreams. As Matthew flies across the Waking World and others, he finds a young boy named Timothy Hunter who, in his dreams, has become the world’s most powerful magician—but in his nightmares he is the world’s greatest villain. A new House has appeared in the realm of the Dreaming: the House of Whispers, with its proprietor, a fortune-teller called Erzulie. And elsewhere, Lucifer has fallen again, only this time he might be trapped in a Hell of his own design. Spiraling out of this special issue will be four all-new series set in the Sandman Universe. It all starts here! July also brings another key moment in Brian Michael Bendis’ work at the publisher with the start of two of his creator owned works at DC with Pearl #1 and Scarlet #1. In Pearl, Bendis teams up with artist Michael Gaydos for a brand new creation and the story of an exceptional tattoo artist and accidental assassin for one of the modern-day San Francisco Yakuza. With Scarlet, Bendis re-teams with Alex Maleev for a continuation of the series they previously published in 2010. In this brand-new, new reader-friendly chapter, Scarlet tells the story of what happens when one young woman is pushed too far—and what one country will do to stop her. Finally, some beloved comics will be publishing their final issues. The entire DC’s Young Animal line (except for Doom Patrol) will conclude with their sixth issues, bringing Cave Carson Has an Interstellar Eye, Eternity Girl, Shade the Changing Woman, and Mother Panic: Gotham A.D. to a close. In addition, Batwoman and Hal Jordan and the Green Lantern Corps. will conclude their runs. You can also check out the DC Comics July 2018 solicitations from last month and check back soon to see what August will be bringing from Marvel Comics. Which of the DC Comics August 2018 solicitations are you most excited for? What items would you like to see announced from DC Comics next month? Let us know in the comments below!